Bishop Bill & Becky Chapman, Regional Bishop (Eastern Region U.S.) The Eastern Region will include Michigan, Indiana, Kentucky, Tennessee, Mississippi and every State east. SPECIAL NOTE: Until further notice Missouri is also in the Eastern Region. 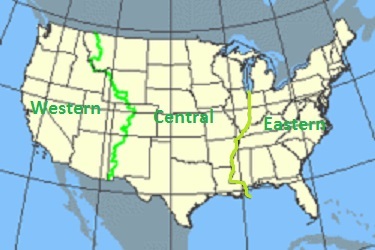 The Central Region will consist of Louisiana, Arkansas, Kansas, Illinois, Wisconsin and every state west to the continental divide. SPECIAL NOTE: Until further notice Missouri is also in the Eastern Region. WESTERN REGIONDr Phyllis Skirvin, Regional Bishop (Western Region U.S.) The Western Region will be begin to the east at the continental divide through New Mexico, Colorado, Wyoming, Montana and every state west. Her husband James totally supports her ministry and works in their flower shop.